Copy of your dog’s registration certificate from a UKC acknowledged registry. For this breed, we acknowledge the Olde English Bulldogge Kennel Club, the Olde Bulldogge Club Europe, and Leavitt Bulldogge Association. Three color photographs. One photo should be taken of each side and one from the front. The dog must be standing in all photos. The photos must be clear enough to see all distinguishing marks the dog may have and the tail must also be clearly visible. Photos that are e-mailed must be in a jpeg or PDF file format. 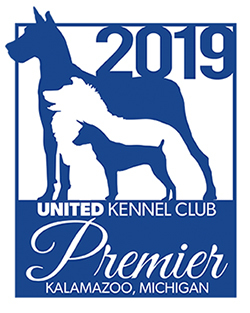 Dogs with UKC registered parents do not need to provide proof of registration but should provide UKC registration numbers and names for the sire and dam.